Choose part #GMAVS for hanging SuperGourds, Excluder Gourds, and side-to-side drilled natural gourds on an INNER arm position and on the rings of the Gemini. The gourds entrance hole is directly below the gourd hanging arm. 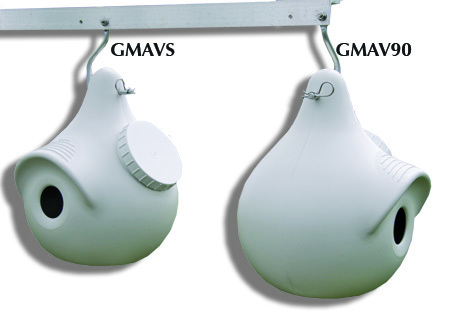 Choose part #GMAV90 for hanging SuperGourds, Excluder Gourds, and side-to-side drilled natural gourds on an OUTERMOST arm position. The gourds entrance hole faces out and away from the pole. Not compatible with the Gemini.